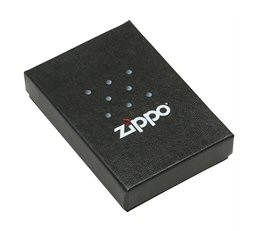 Brand new in original Zippo packaging this Zippo Pipe Lighter includes original Zippo box and Zippo lifetime guarantee. The orange Zippo seal on the back of the lighter is intact. 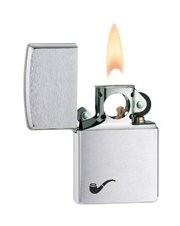 The High Polish Brass Zippo Pipe Lighter is made to the same high quality standards as all Zippo windproof lighters. 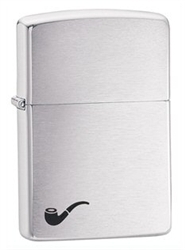 It is designed specifically for the special needs of pipe smokers. The ingenious and unique chimney design encases the flame in metal which allows it to be drawn directly into the pipe without bending over the side. This results in perfectly lit tobacco with no damage to your pipe. 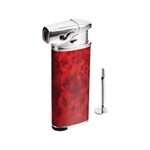 It functions just as well for cigars and cigarettes and the design lends itself for use with candles and the like.